This is a book about the everyday life of “shared ownership”, a peculiar pragmatic invention, both in label and in design. Although it is much messier than this, the marketing slogan for shared ownership is that it involves “part buy, part rent”. 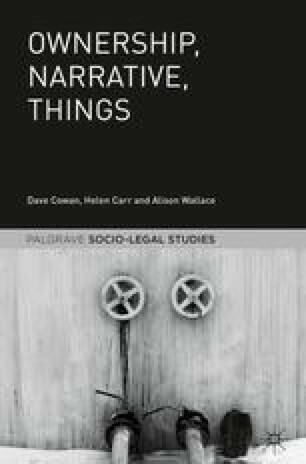 However, although shared ownership forms its substantive subject matter, the book ranges across, and makes a contribution to, various methodological pre-occupations of ours—legal consciousness, actor–network theory, property—and diverse interdisciplinary approaches to ownership, home, and things. In this chapter, we set out how we bring these diverse pre-occupations together and introduce this thing called “shared ownership”.